From left to right standing: Board members Vanessa Stevenson, Sloane Bernard, Grace Patenall (Chair), Juliette Fergus of Trust Realty Group (Event Sponsor), Cathy Wright (Manager), board members Stefanie McPherson, Rosalyn Wise, Daniel Segal. Seated from left: Board members Tina Lines and Meredith Briglio. For over 30 years, East End Children’s Centre (EECC) has operated two child and family programs in the East Danforth neighbourhood at Terry Fox Community Centre, and the basement of Kimbourne Park United Church. These free drop-in programs provide an opportunity for children 0-6 and their parents/caregivers to come together, network and learn from staff in a safe, supportive, community building environment for families in Toronto’s East End. Over the last decade there has been a surge in the child population in Toronto’s East End. This placed a demand on programs that overwhelmed EECC’s resources available to service local children and families in a safe way at each of the facilities. By 2011, room capacities were being reached at both sites within minutes of opening each day. Since then, children and families have been turned away almost daily. Parents spoke out. It was a devastating experience for children, when they leave their homes in the morning hoping to come and play, only to find themselves repeatedly outside a locked door. In its strategic plan for 2016-2021, the East End Children’s Centre identified increasing community access to its programs as its highest priority, and the No Child Turned Away project was born. The Boots & Bling Gala helps to raise the funds required to carry the No Child Turned Away project through 2019. This year’s gala takes place on Saturday, October 13, at 8 p.m. at Riverdale Hub located at 1326 Gerrard St. East. 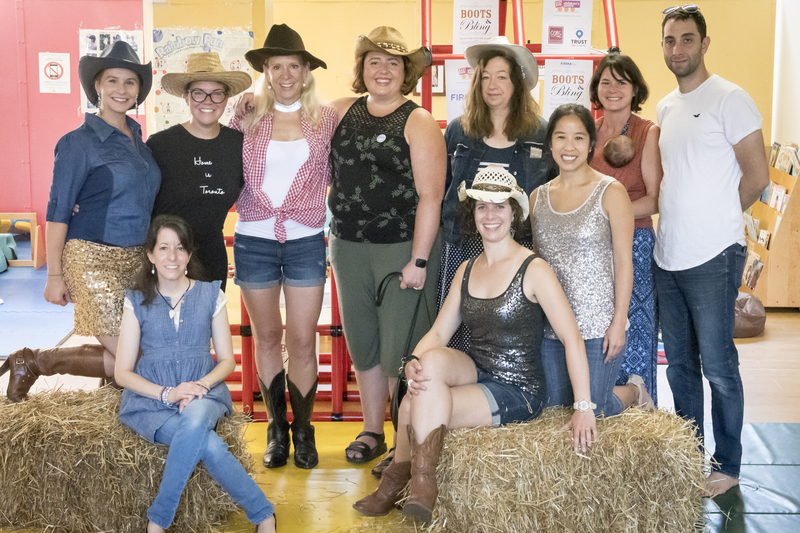 Due to the success of its annual charity galas, East End Children’s Centre has been able to implement an expansion of its program at the Kimbourne location offering 100 more child visits each week. Visit www.eastendchildrenscentre.org for a link to tickets which are priced at $45 for a single and $85 for a pair.